Hi lovelies! 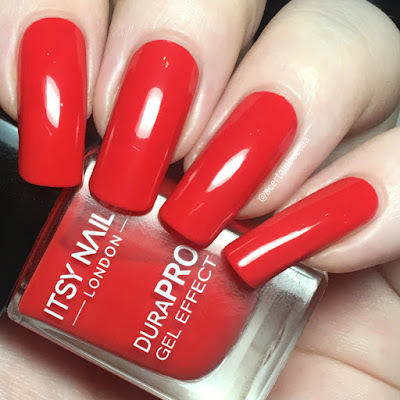 Today I have swatches of four polishes from new to me UK brand, Itsy Nails London. These were kindly sent to me by the brand. Itsy Nails polishes are all non-toxic, 5-free, vegan friendly, and cruelty free. 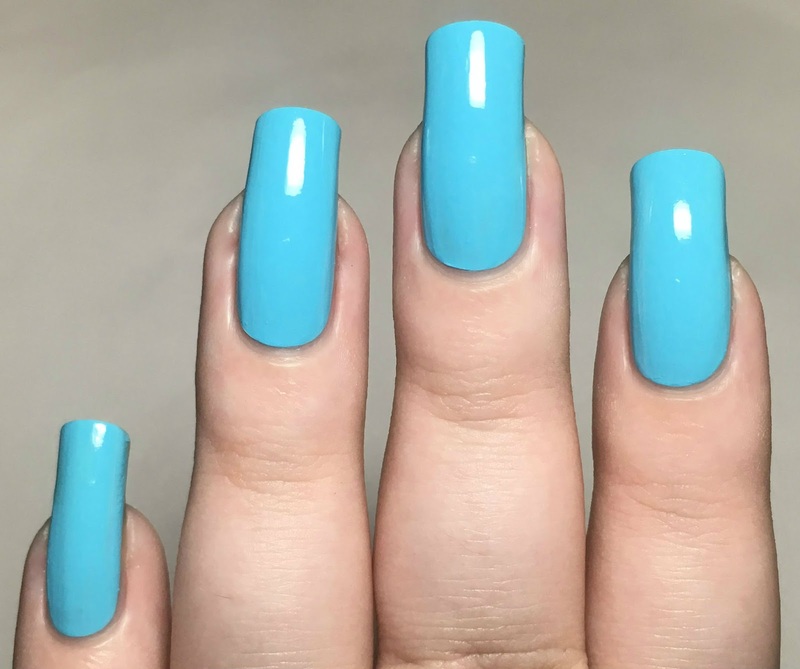 They currently have 10 shades available, all of which are gel effect polishes. 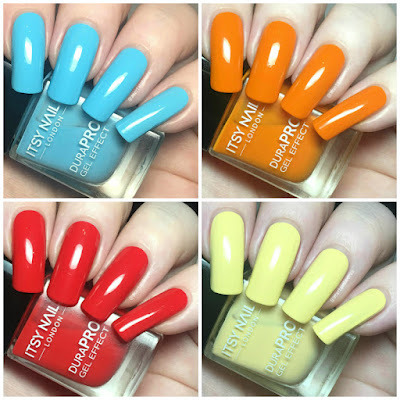 Read on for full swatches of the four I received. 'In Deep' is a sky blue creme. The formula is smooth and easy to apply, and has good opacity. I did find it to be a little bit streaky on the first coat, but a second evens everything out and covers completely. This dries naturally glossy. Below is two coats without topcoat. 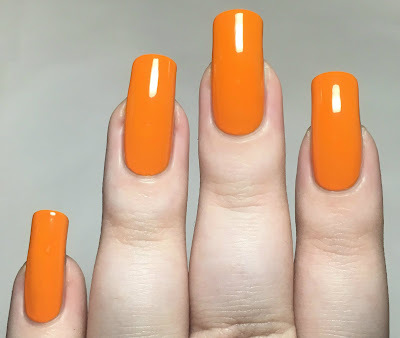 'No Fear' is a bright orange. 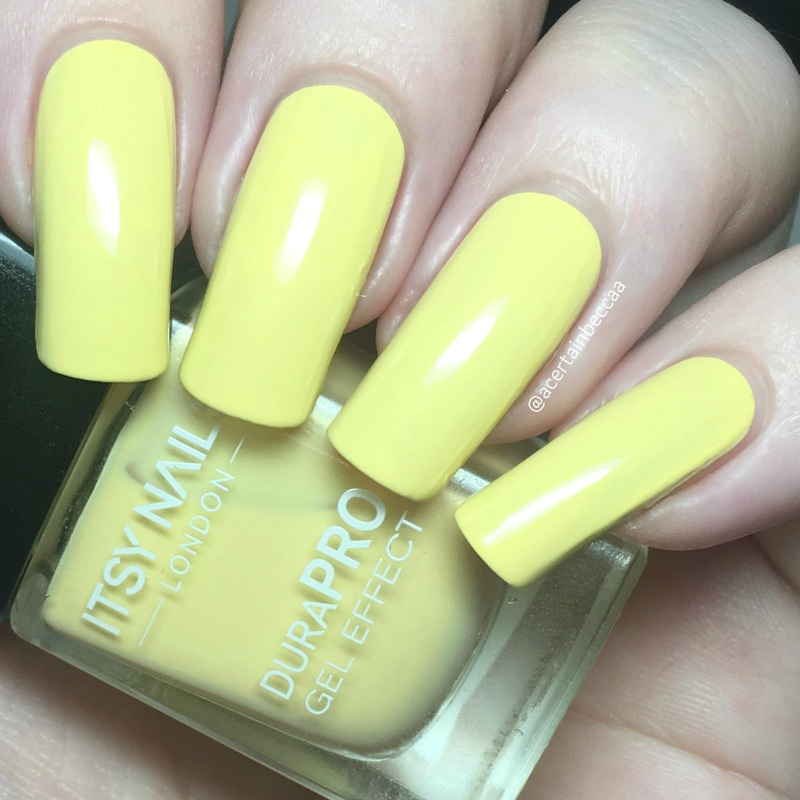 This has a bit more of a jelly formula so is a bit sheer, but it does apply very smoothly and evenly. I could still see my nail line on the second coat so added a third. Being a jelly this dries very glossy and 'squishy' looking. Below is three coats without topcoat. 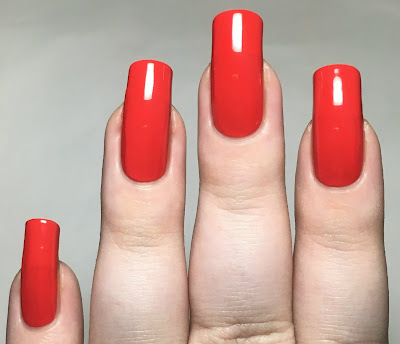 'Drop Red Gorgeous' is a bright red. Like 'No Fear', this is more on the jelly side. It is a bit sheer to begin with, but applies smoothly and evenly and is fully opaque in three easy coats. Again it dries glossy and squishy looking. Below is three coats without topcoat. 'Mellow Yellow' is a soft yellow creme. The formula is smooth and easy to apply. This does have a bit of a typical streaky yellow formula, although I did found most of the streaks to even out on the second coat. I just about needed a third coat, although I think those with shorter nails would be fine with two. Below is three coats without topcoat. What do you think? 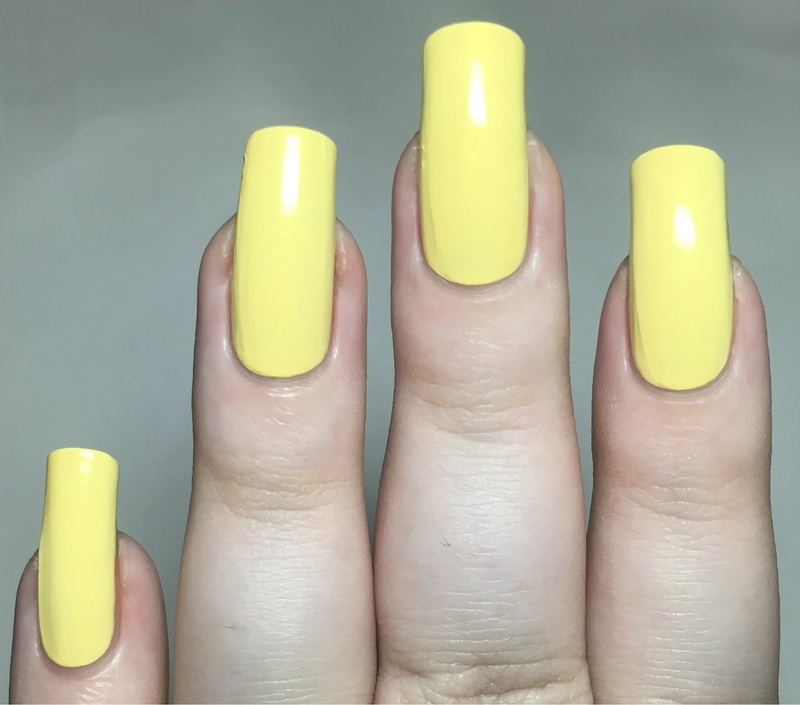 All four polishes are lovely and bright, and they'd be perfect for both spring and summer (or anytime of the year if you're not fussy like me!). I always love trying new UK brands, and I definitely wasn't disappointed. I used 'In Deep' for last weeks 26 Great Nail Art Ideas mani, which you can see here. 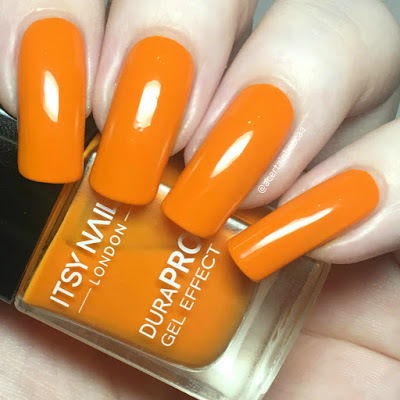 All four polishes mentioned (and more) are available now on the Itsy Nails London website here. They are normally £5.99 each, but are currently on sale for just £1 each! 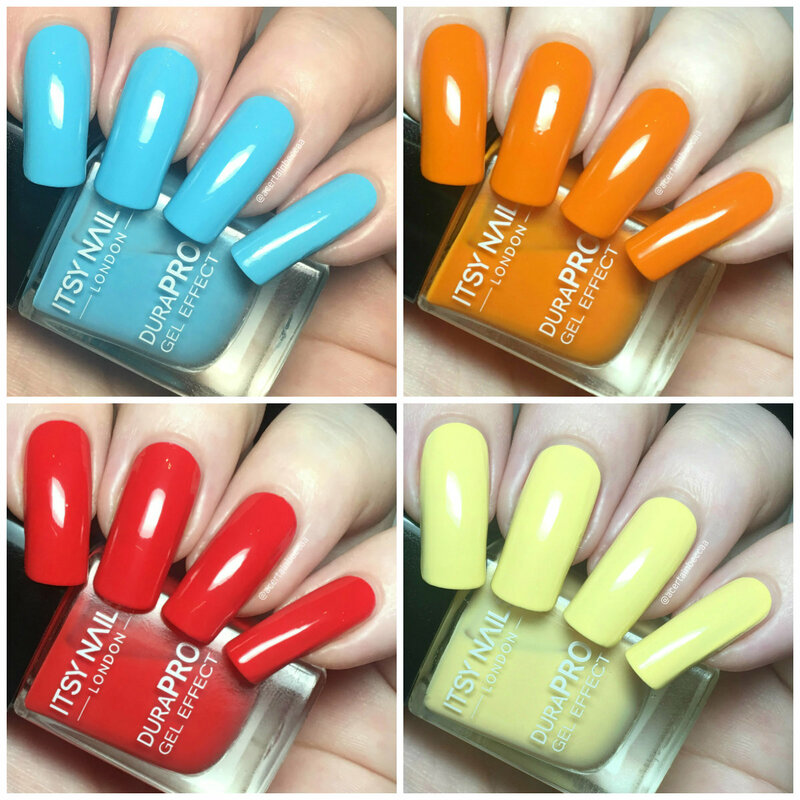 You can also follow the brand on Instagram here for more swatches.